Just when you thought you had a grasp of this year&apos;s gear, Dynastar and K2 are bringing new skis to the racks, while Rossignol offers an early peek at a radical new boot design. Dynastar&apos;s Autodrive technology powers both of its offerings. Due in January is the Instinct 69 Carbon (A) (MSRP: $650; tip-waist-tail dimensions: 106-69-94; sizes: 157-188 cm). Its generous waist gives it all-mountain versatility, suitable for upper intermediates and experts. 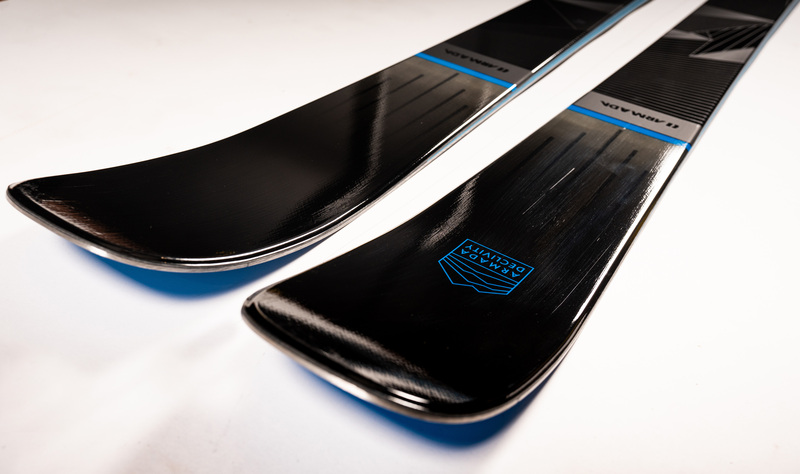 Dynastar&apos;s new race ski thrives at high speeds on hard snow. Already in stores, the Autodrive Course (B) ($845; 103-64-92; 178-190) has extra-rugged sidewalls for gutsy edge-grip. It proved itself on the World Cup, with more GS wins last year than all but Atomic. This fall in Tignes, France, K2 introduced a new member of the Mod family. The Mach S (D) ($795; 106-64-95; 160-174) is a supercharged all-mountain shortie slalom. The Mod dual-core dampening system gives it stability despite its diminutive size (piezoelectronics are history), making it a quick, tenacious fall-line ripper for short-turn enthusiasts. K2 also offers 1,000 pairs of the new Jerry Launcher (C) ($670; 119-88-105; 165-195). It&apos;s an homage to Jerry Garcia, the late Grateful Dead guitarist. The graphics are Garcia&apos;s work, while the ski is essentially an AK Launcher-a big-mountain powder surfer with moderate sidecut. Rossignol&apos;s Soft won&apos;t be widely available until next season. The boot boasts an open-throat design that marries plastic and leather, producing a softer flex without compromising edging. Today&apos;s shorter shapes don&apos;t require stiff forward flex, the company says. The payoff: comfort and feel. Sick of Airline Baggage Fees? Try a Demo. As it gets more expensive to fly, resorts are increasing their size and quality of rental fleets. Here's why you should check it out.